to any positive integer $n_0$ eventually yields $1$. Take any object $x$ from a set $X$ and repeatedly apply the (not necessarily arithmetic) transformation $\sigma:X\rightarrow X$. You will eventually reach $y\in X$ after a finite number of steps. The difference between this pattern and an attractor in physics is that here, the system is discrete and converges within a finite number of steps, and that all elements of the set are inside the "basin of attraction" (also, it is possible for even the fixed point to escape again for a cycle, as is the case with the Collatz map for $1 \rightarrow 4 \rightarrow 2 \rightarrow 1$). Take any integer $n$ and repeatedly subtract $1$. You will eventually reach $0$. Take any polygon and repeatedly cut off a triangle whose one edge connects two corners of the polygon. You will eventually be left with a triangle (though of course this triangle is only unique if you consider it through the lens of graph topology). Take any permutation $a \in S_n$ in list form and repeatedly traverse it from left to right, exchanging any two adjacent elements that are in the wrong order. You will eventually reach the trivial permutation $1 \in S_n$ (Bubble sort algorithm). The problem is that in these examples, the fact that all initial states converge and even the number of steps towards convergence are immediately obvious and predictable. I really like the way the convergence time of the Collatz map behaves pseudorandomly. Are there any more examples with that property? Let the set $X$ the positive integers which are divisible by $9$. Let the transformation $\sigma$ be the operation of computing the digit sum. Then taking any element from $X$ and applying repeatedly $\sigma$ gives $y=9$. 34 is the good number of 2713. 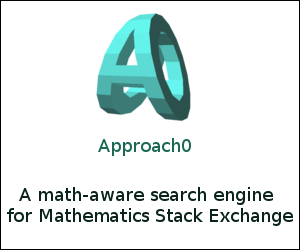 Hm, not sure whether this is an example in the scope of your question... What about rowwise Gaussian elimination in a matrix of $c$ columns and $r=c+a$ rows: the last $a$ rows become evantually zero-vectors? If the number is divisible by 12, divide it by 12. If the number is divisible by 10, divide it by 10. If the number is divisible by 8, divide it by 8. If the number is divisible by 6, divide it by 6. If the number is divisible by 4, divide it by 4. If the number is divisible by 2, divide it by 2. If the number is odd, multiply it by 5 and add 1. The tests should be performed in this order. The conjecture is: This process will eventually reach the number 1, regardless of which positive integer is chosen initially. What would be the implications of (dis)proving the Collatz conjecture? Collatz Conjecture, sufficient to show odd numbers reach $1$? Is there a proof for this modified Collatz-like problem? Why do these Collatz values seemingly explode and then implode? Is it possible to narrow down a domain of possible counter-examples to the Collatz Conjecture? 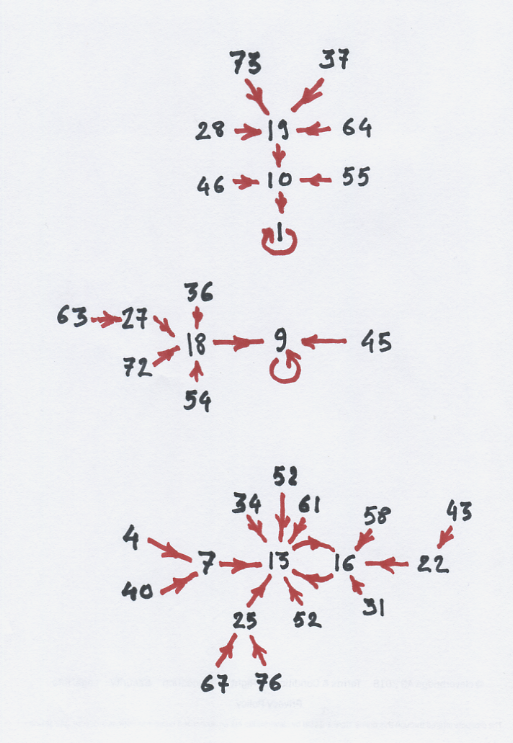 Which numbers will iterate to others under the Collatz iteration?